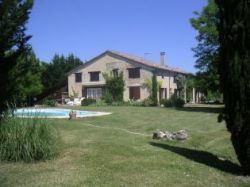 Labarthe Cottage is set in a very secluded position, yet only 2 km. from the historic village of Duras with it's impossing Chateau. 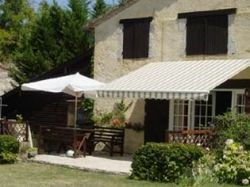 Duras has all the facilities you could want for an enjoyable holiday. Bars, restaurants, shops and for the Ladies hairdressers and a beauty salon. 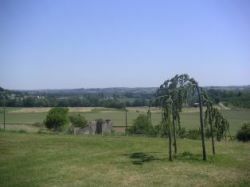 The 3 acre garden has beautiful views south over the Dropt Valley The large swimming pool (13m x 7m max) is solar heated. For you safty the pool has an automatic alarm, and the terrace has a removable gate to "contain" todlers. There are plenty of sun loungers and parasols and a shaded area. The BBQ is gas fired. The accommodation has on the ground floor a large living area with comfortable seating and satilite TV, a fully equiped kitchen with oven, hob, microwave, perculator, washing machine, dish washer, fridge and freezer. A shower room/wc. 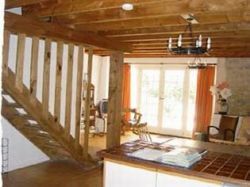 On the first floor the are one double and two twin bedrooms, and a further shower room/wc. Heating for winter lets is by a gas fire. And 3 Towels pp. and bed linen is included in the peak and mid season, but extra, if required, in the low and winter. Please look at out web site for full details and comments from our visiters book.